This high-performance sliding door system is perfect for very wide openings and ideal for homeowners looking to allow the outside world in. 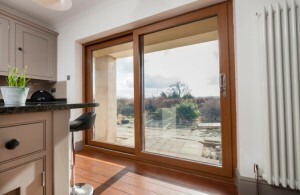 The door provides some of the largest unrestricted views available in modern sliding door design, two panes can provide a 4.5m span, whilst three panes can provide a 6.0m span. This sliding door system glides effortlessly and silently on its high-quality nylon rollers. 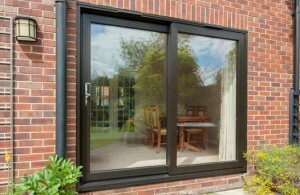 The system looks and feels like aluminium with the superior thermal performance of PVC-U. For strength the system uses fully reinforced PVC-U profile with galvanised steel and for added security, a six position multi-point locking mechanism is installed as standard. A door that not only looks good, but also provides excellent weather and thermal protection to keep you warm and secure all year long.